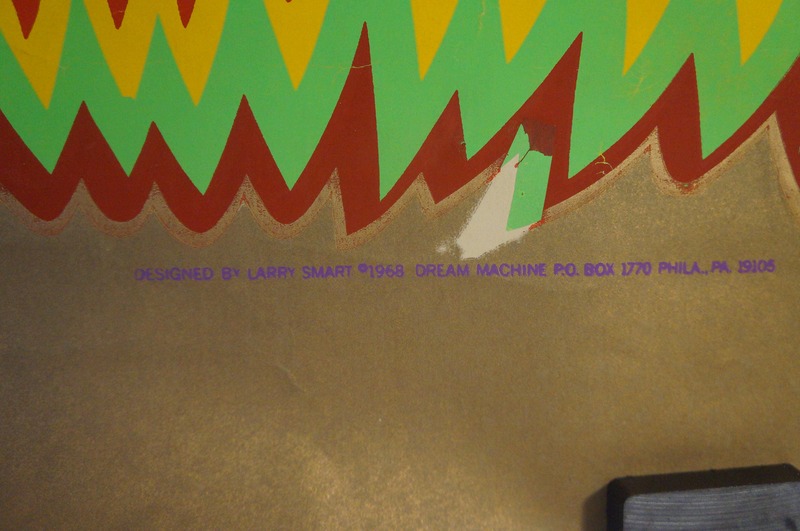 Huge vintage 1968 psychedelic Jimi Hendrix print by Larry Smart, Dream Machine 47.5"x36.5"
Jimi Hendrix poster printed by Dream Works, art by well-known, contemporary artist Larry Smart, 1968. This is magnificent. Printed in the Summer of Love, this is straight-up contemporary Haight-Ashbury stuff. 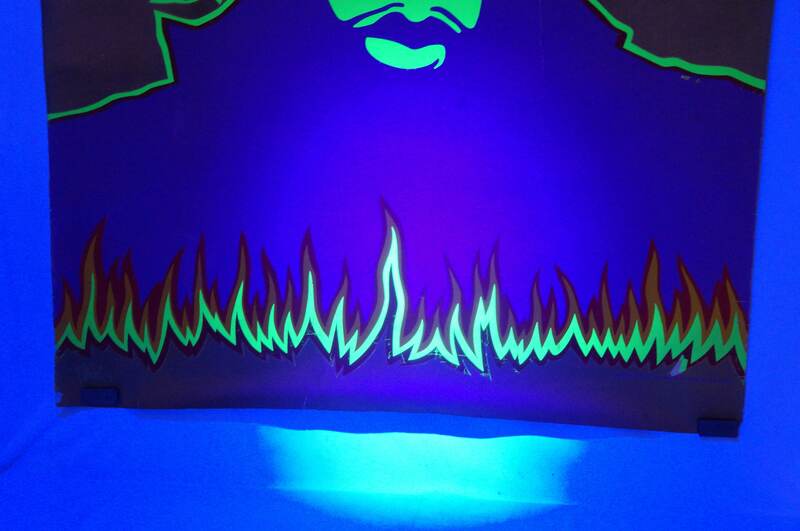 It is huge, has amazing psychedelic graphics, and colors that glow under blacklight. 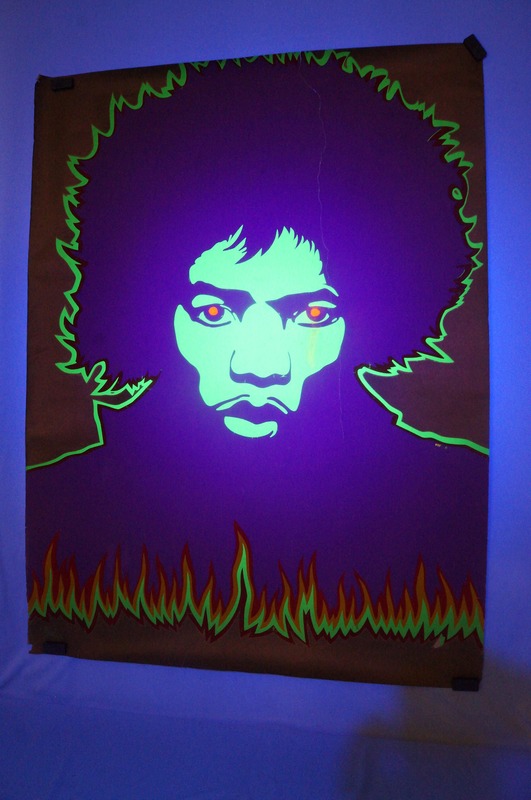 (It is NOT a "blacklight" or felt poster. Nor is it cheap "poster paper.") This would be an arresting focus of an entire wall or room. There's not much more that can be said -- this was printed and hung on someone's wall in 1968 during the Summer of Love. Jimi was still very much alive, as thriving and vibrant as he looks in this contemporary image of him. 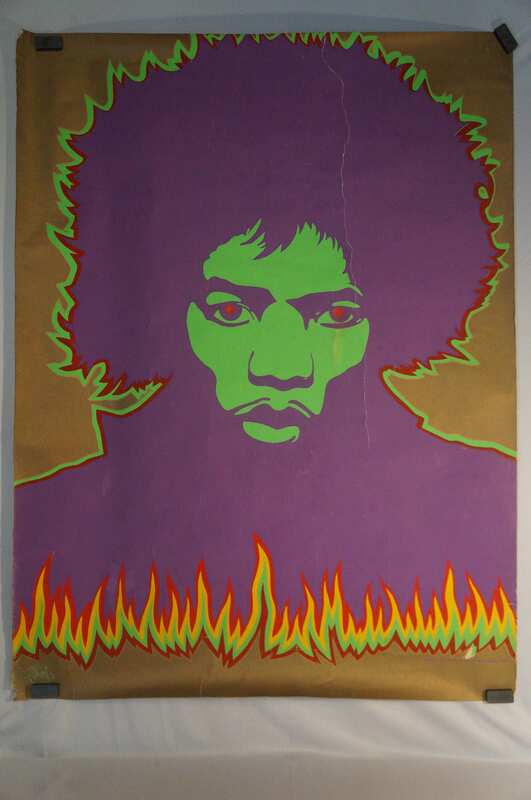 In fact, this was printed after Are You Experienced and Axis: Bold as Love (my fave) were released in 1967, and likely just prior to the October 1968 release of Electric Ladyland, the last studio album for The Experience before their break-up in 1969. Jimi passed the year after in September 1970. This was printed at the true height of his brief, glorious flame's life. Lightning in a bottle. It was painted not as a sad reminder of a legend taken too soon. 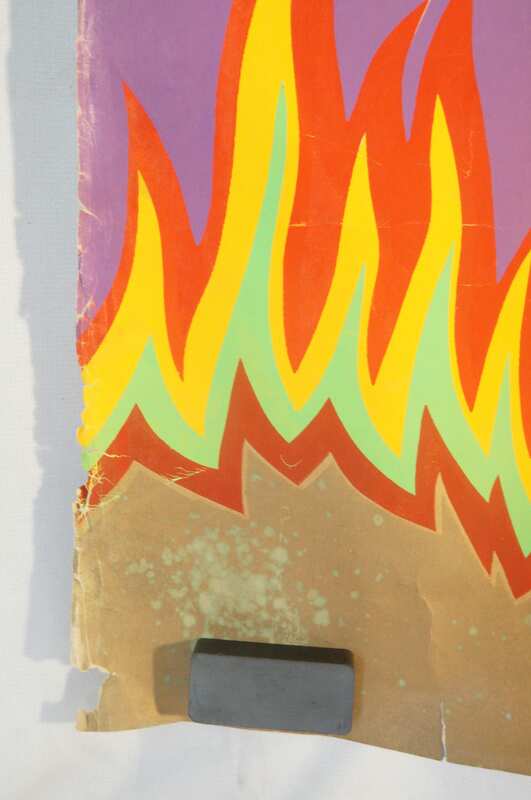 Rather, it was painted when he was on fire, a vital life force, someone the world expected to continue redefining rock and culture for decades more to come. It is an expression of his life and vitality. It is hard to overstate this unique context in rock history. I get an absolute visceral reaction to this over-sized poster like it is a direct pipeline to a magic and revolutionary time. It is one of the most impressive graphical representations of Jimi Hendrix that I've ever seen. I would love to frame this and hang it on my own wall. It is remarkable. It is not perfect. It was actually hung by tacks on someone's apartment nearly 50 years ago. 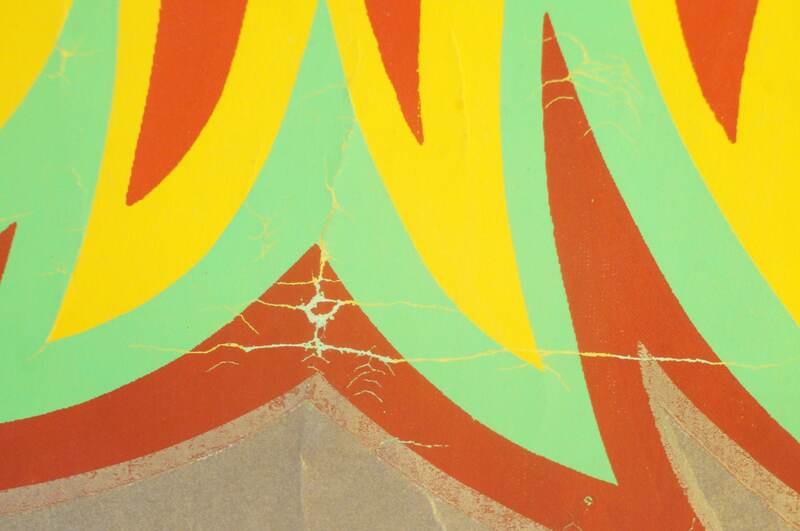 The poster has a crack running through part of the top which can be seen in the pictures. The edges are not perfect. 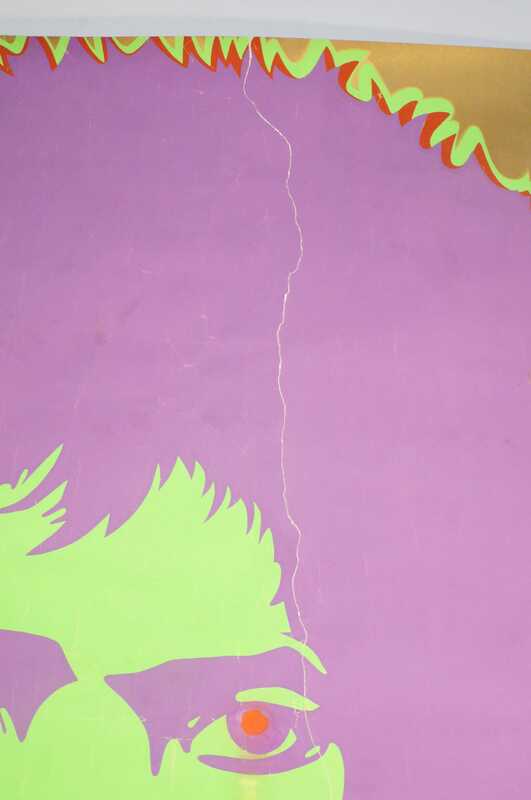 The crack I mentioned does not go completely through the paper, it is simply a crack in the printing that is also creased on the back. In other words, there is no separation there. 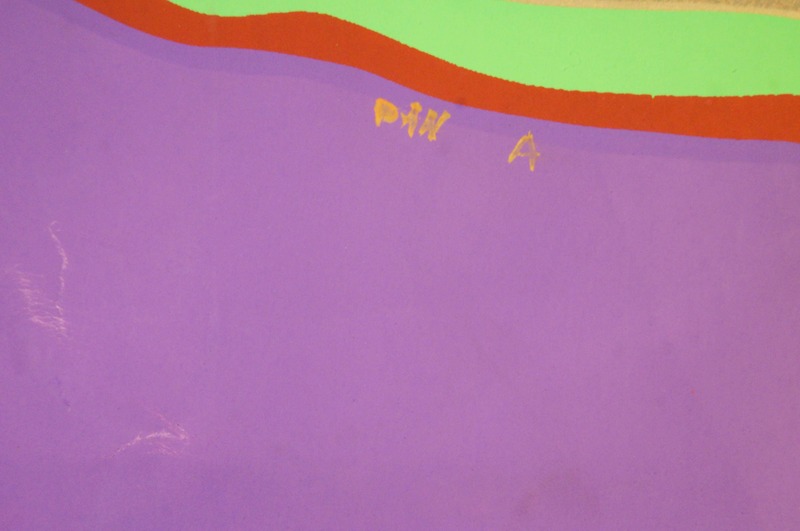 This would be well mounted on linen for conservation purposes, but we leave that to the collector's discretion. I hate to see this go.